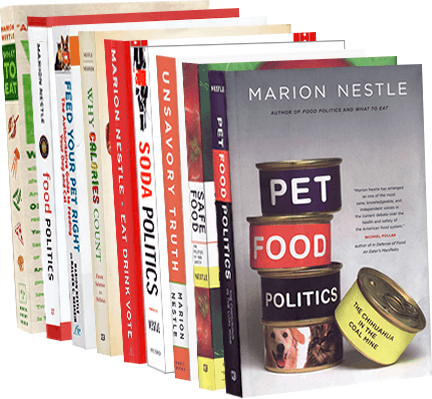 Food Politics by Marion Nestle » Let’s Ask Marion: Does Factory Farming Have a Future? Let’s Ask Marion: Does Factory Farming Have a Future? This is one of a series of occasional Q and A’s from Eating Liberally’s Kerry Trueman. Submitted by KAT on Wed, 04/13/2011 – 9:12am. You, however, saw a number of these fetid facilities firsthand when you served on the Pew Commission on Industrial Farm Animal Production a couple of years ago. And industrial livestock production’s role in degrading our environment, undermining our health, abusing animals and exploiting workers in the name of efficiency has been well-documented, most recently in Dan Imhoff’s massive, and massively disturbing, coffee table book CAFO: The Tragedy of Industrial Animal Factories. I think a more realistic question is this: Can factory farming be done better? The interesting thing about the Pew Commission’s investigations was that we were taken to factory farms where people were trying to do things right, or at least better. Even so, it was mind-boggling to see an egg facility that gave whole new meaning to the term “free range.” And these eggs were organic, yet. The hens were not caged, but there were thousands of them all over each other. This place did a fabulous job of composting waste and the place did not smell bad. But it did not in any way resemble anyone’s fantasy of chickens scratching around in the dirt. But the everything else could be done much, much better. The first big issue is animal waste. It stinks. It’s potentially dangerous. Most communities have laws that forbid this level of waste accumulation, but the laws are not enforced, often because the communities are poor and disenfranchised. I’m hoping that more environmentally friendly meat production will expand, and factory farming will contract. That would be better for public health in the short and long run. NOTE: If you’re in the NYC area, please join Eating Liberally and Kitchen Table Talks this Thursday, April 14th at NYU’s Fales Library, 6:30 p.m. to hear Dr. Nestle, Dan Imhoff, and Pulitzer prize-winning New York Times investigative reporter Michael Moss address the question “What’s the Matter with Mass-Produced Meat?” The discussion will be moderated by Paula Crossfield of Civil Eats. Event details here.